The beginning of the Rotary year is full of both challenges and opportunities. It is an exciting time when new energy, ideas and connections are brought into our leadership teams and when we thank those who have led our Clubs and District with such enthusiasm over the past year. Recently Linda Wellington, Past President of Port Nicholson club, had much delight in handing over a brand new state of the art coin operated clothes dryer to The House of Grace in Newlands. By the end of June, the first replacement stock of ERKs will have been flown into Suva from Auckland for prepositioning and in the coming weeks Auckland Rotarians will be packing a further 1000 kits for further deployment around the Pacific. Donors continue to be supportive and we look forward to a continuing steady flow of donations to maintain this Rotary humanitarian support so that we can bring immediate relief to our Pacific neighbours following natural disasters. Clubs can donate via www.rnzwcs.org. Please state club name and tag for ERKs. For the full (and very useful) RI Manual and Guidelines see ttps://www.rotary.org/myrotary. Two weeks ago, Robert became the first learning-disabled person ever to be elected to a United Nations committee; the UN Committee on the Rights of Persons with a Disability. His appointment to the UN is the product of years of activism on behalf of the disabled, especially those with intellectual disabilities. 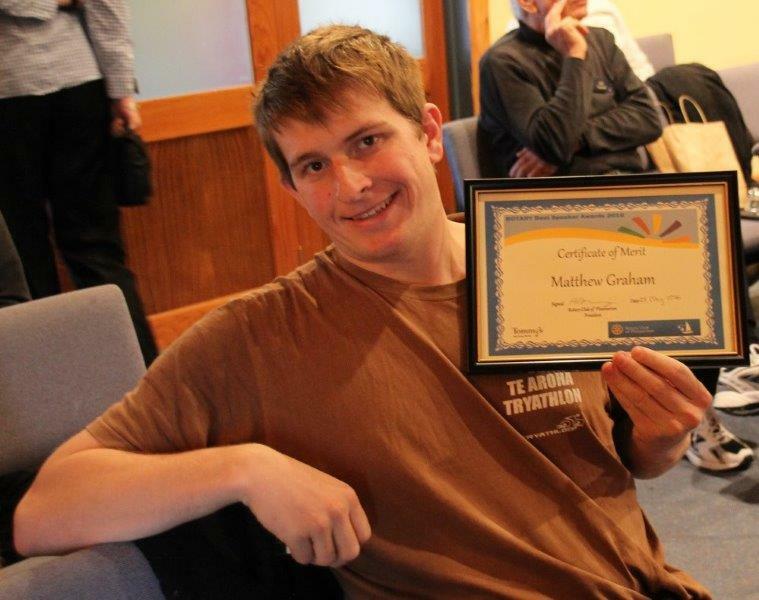 Eighteen young men and women with intellectual disabilities grasped every ounce of courage they had to enter the Rotary Best Speaker Awards, staged by Plimmerton Rotary. The event was sponsored by Tommy’s Real Estate. We aim to have a relatively short bulletin with links through to more indepth stories on the district website, club websites, RI website and facebook pages. We will do this by links directly through to where the story is located. This means that people will find it easier to move between the different social media to find out what is happening in Rotary locally and around the world. To achieve this I need your help. Please send me stories, achievements and links to articles that you feel would be interesting to fellow Rotarians. As you read this first bulletin, the new District Website is up and running. There is more work to be done to polish it and fill in some gaps. This will happen over the next month or so. With this new website platform, we have a fabulous opportunity to improve our communication, build resources and do things better - faster, and simpler promoting Rotary and our district to a global audience. Did You Know. 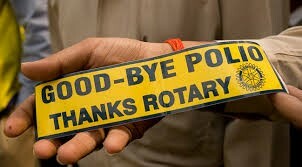 1-1/2 million childhood deaths have been prevented by the Rotary Polio Plus programme since 1988 - and that the number is growing each year.!! Join us at Rotary Kaukau's charter celebration! An afternoon of hilarity in store: Celebrity Debate with Zonta and Plimmerton Rotary. The moot for this year is 'To develop Mana Island into The Mana Island Trumped up Resort and Casino'. Are you going to Atlanta in 2017? The Bloomfield Club is inviting you and a spouse, other Rotarians, and friends to participate in a tour of the Finger Lakes next June 4-9, 2017, immediately preceding the International Convention in Atlanta.